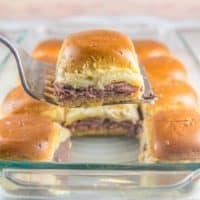 Baked roast beef sliders are the perfect party food! 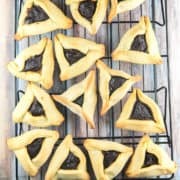 With 5 minutes of prep work and 15 minutes of bake time, they’re ready in a snap and easy to eat one-handed. Don’t forget the horseradish for a little extra punch! We’re doing something a little different today. 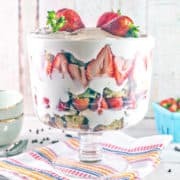 We’re taking a break from our normal entertaining-worthy desserts and quick and easy weeknight dinners. While those may be the main focus of Bunsen Burner Bakery, every year I take a little deviation towards the end of January for… drumroll please… Super Bowl Party recipes! Football party type foods are my favorite, and it’s clear you guys love them too. February is always my highest traffic month over here, because you show up in droves as you prep food for your parties. And I dig it. So this year, we have a few new recipes coming up, just in time for that big game involving two teams throwing an oval shaped ball. You know what I’m talking about! Don’t do football parties? No worries. 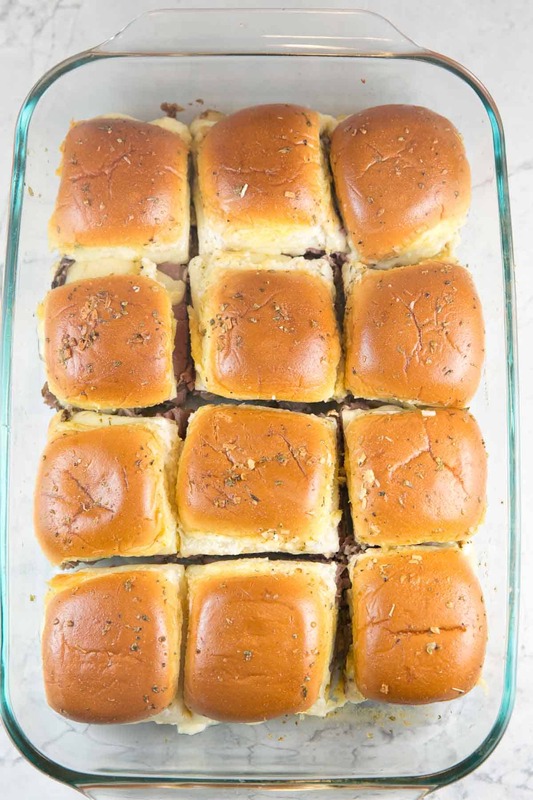 These baked roast beef sliders are good for any party. I made them for New Year’s Eve this year (and then again a week or two later for a football party.) A friend liked them so much she thought about making them for a baby shower. Having many people over for casual dinner? This is your recipe. Easy. Fast. Finger food. Delicious. 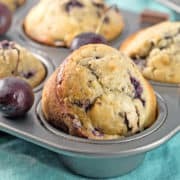 I’d say this is the easiest recipe to ever wind up on Bunsen Burner Bakery, but I think that honor probably goes to two ingredient sugared cranberries. 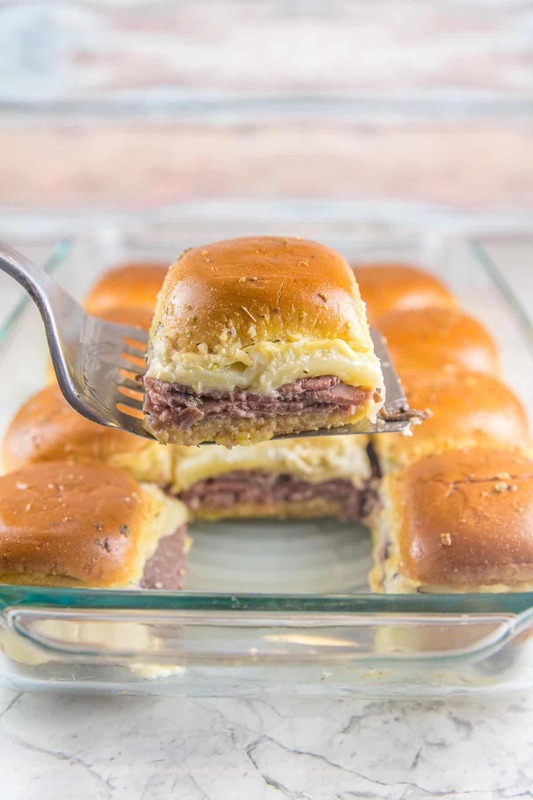 To make these baked roast beef sliders, start with good slider bread (you know, the little dinner roll size). I’ve made these with both King’s Hawaiian rolls and the small sized potato rolls. Both are good, but I have a slight preference for the Hawaiian rolls. These style of rolls generally come 12 or 16 to pack, all connected together. 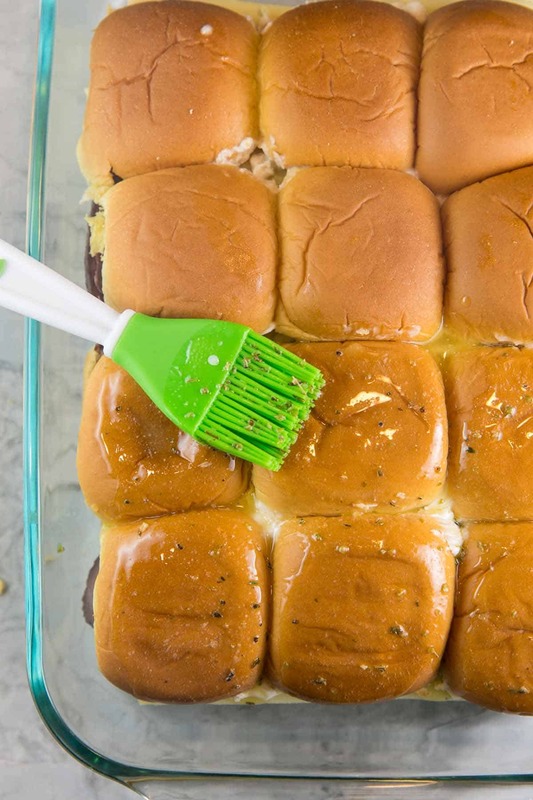 Keep the rolls together – it’s what makes these so easy! Use a serrated knife to cut the rolls in half vertically, but you’ll take off the top and leave the individual rolls attached together. 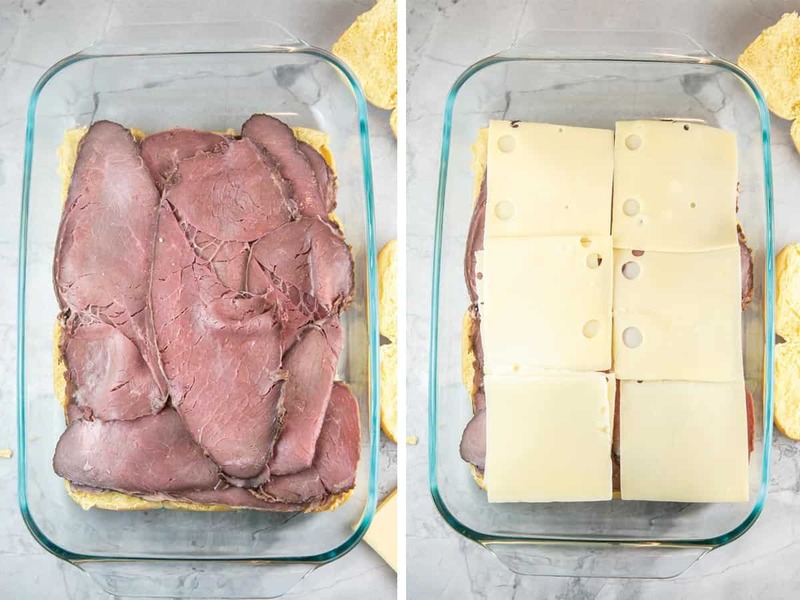 Layer on thinly sliced deli roast beef, followed by sliced swiss cheese. Then we’ll spread a horseradish-garlic-mayo combo on the top part of the roll. Hate mayo? You won’t taste it in these. I had two self-proclaimed mayo haters who dug right into these. The garlic + horseradish masks the flavor — the mayo is really just there as a creamy base to help everything spread. Don’t worry if you’re not a fan of spicy, either. Even the pint-sized crowd liked these — it’s just enough horseradish to add a little zing, without the fear of the sinus-clearing burn. Then just pop in the oven and bake until everything is hot, the cheese is starting to melt, and the buns are toasty. Pull them out of the oven, slice into individual sandwiches, and serve. Fast. Easy. Crowd-pleasing. 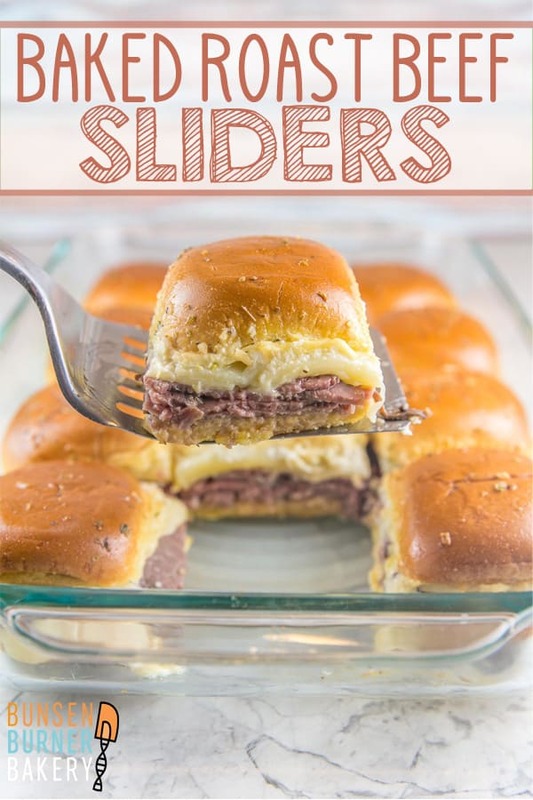 You probably want to go ahead and make a double batch of these baked roast beef sliders – trust me on this one. 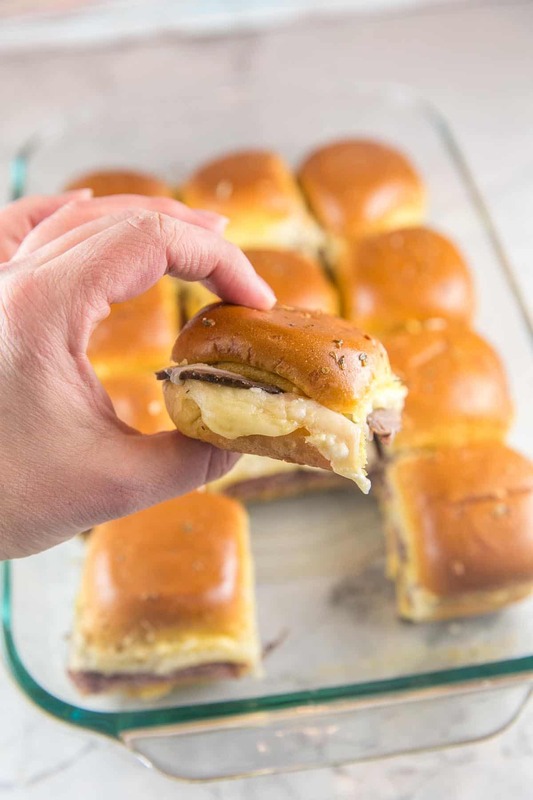 With 5 minutes of prep work and 15 minutes of bake time, baked roast beef sliders are the perfect one-handed party food. Preheat oven to 350 °F. 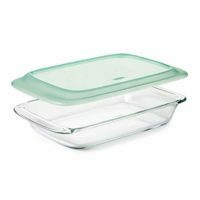 Spray a 9x13-inch baking dish with cooking spray. Slice the rolls in half vertically, leaving each roll attached as a sheet. Peel off the top layer and set aside; place the bottoms of the rolls in the prepared dish. 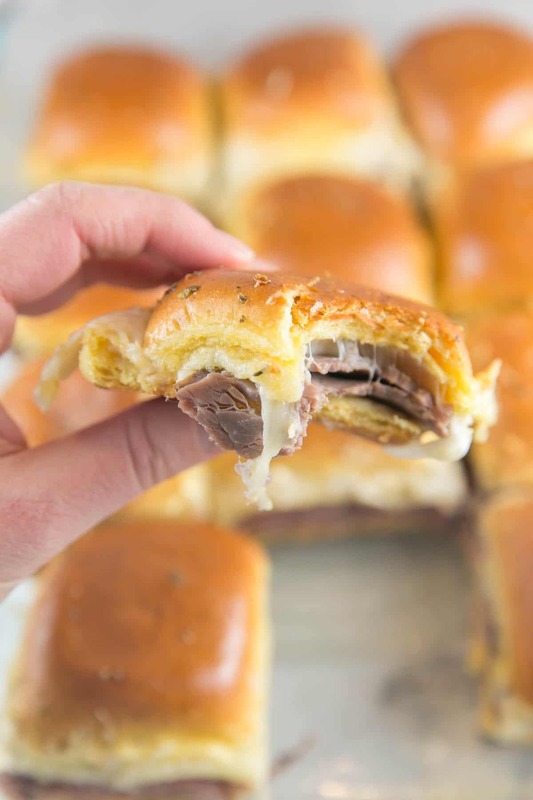 Layer the roast beef and swiss cheese across the rolls. In a small bowl, mix together the mayonnaise, horseradish, and garlic. 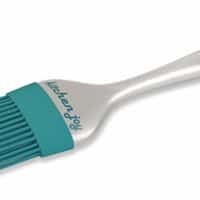 Spread this along the underside of the tops of the rolls, then place the tops of the rolls back on the rest of the sandwich. Mix together the melted butter, salt, garlic powder, dehydrated minced onion, and oregano. Brush this mixture on the tops of the rolls, pouring any extra over the sides. Bake for 15 minutes, until cheese starts to melt. Separate each roll into a sandwich using a serrated knife. Best served fresh and hot. Thank you for including nutrition information. As someone who has to watch her A1C, carb information let’s me know how many I can have! These will fit into my carb limit very nicely. Hi. I cannot eat horseradish. What would you suggest as a substitute? Thanks! You can just skip it all together, or I’d go for some spicy brown mustard in its place (assuming you still like things with a little bit of zing! ).